Designing your new home together is one of the most exciting projects following a wedding. 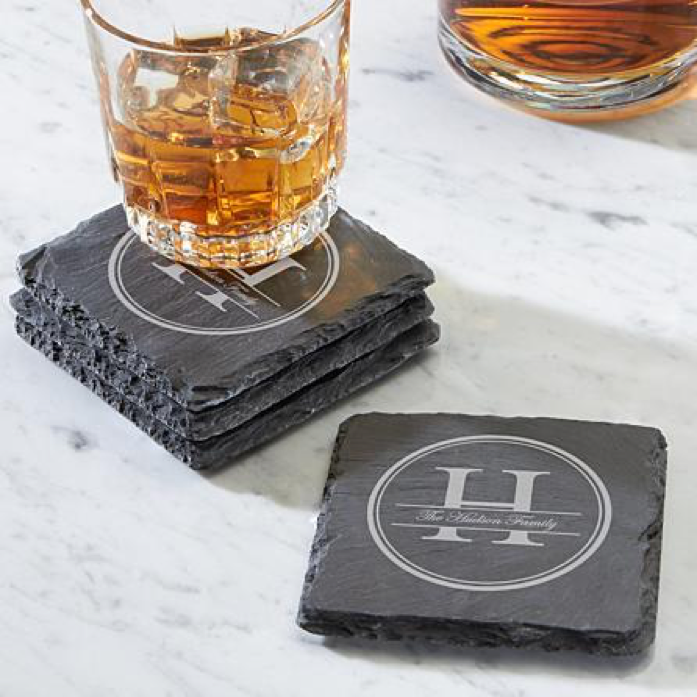 Whether you’re starting fresh or reinvigorating your current space, take this opportunity to build a lifelong collection of personalized items that both complement your home design and welcome guests with style. From classic decanter sets to modern picnic baskets, these wedding registry ideas make excellent gifts for newlyweds that inspire date nights, holiday dinners and cozy nights together at home. 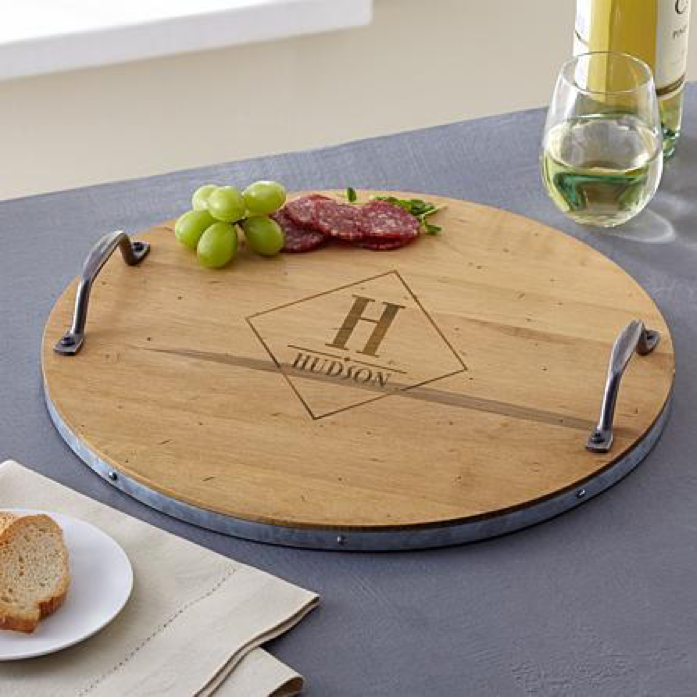 Curate your own wine tasting night while serving an impressive meat and cheese platter on this wine barrel tray. This monogrammed slice of maple wood naturally varies from piece to piece. 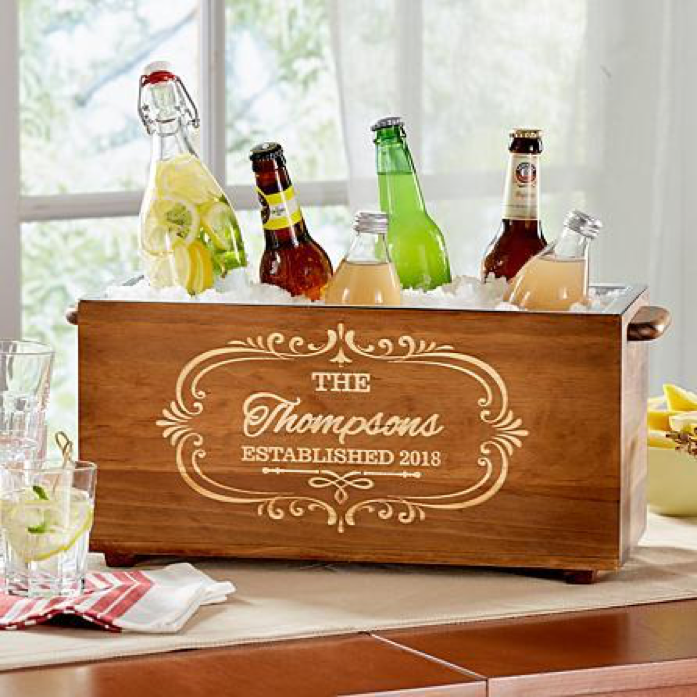 At your first post-wedding party, stylishly display your favorite beverages in a personalized pine wood chiller. This rustic addition serves both outdoor barbecues or cozy holiday gatherings. 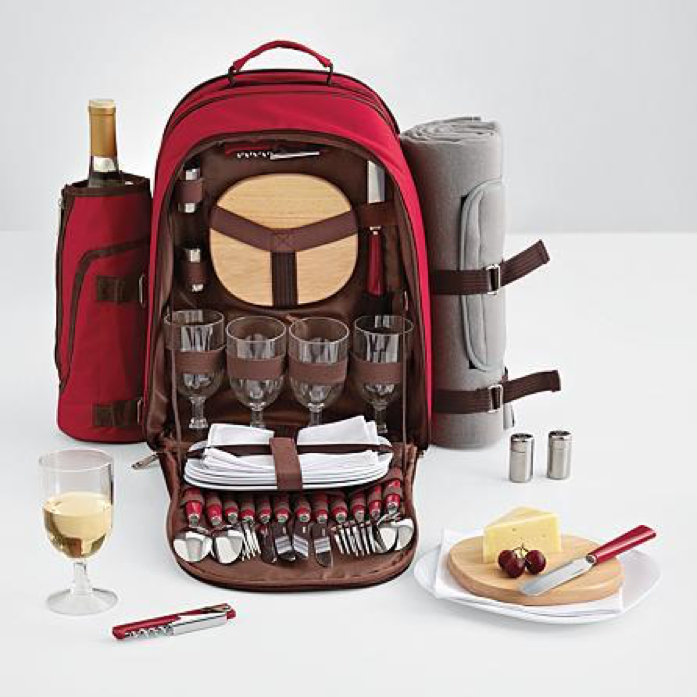 Up your picnic game with this all-inclusive outdoor dining set, complete with wine cooler and all. Host a picnic in the park or head to the beach for a weekend outing. Wedding registries are an excellent time to build a collection of coordinating hosting sets. 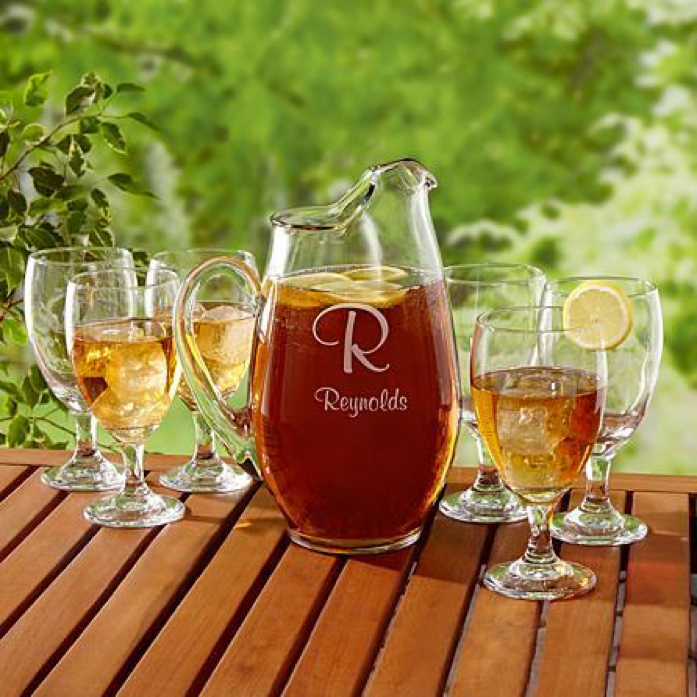 Welcome guests over for iced tea and lunch with this elegant, monogrammed collection. 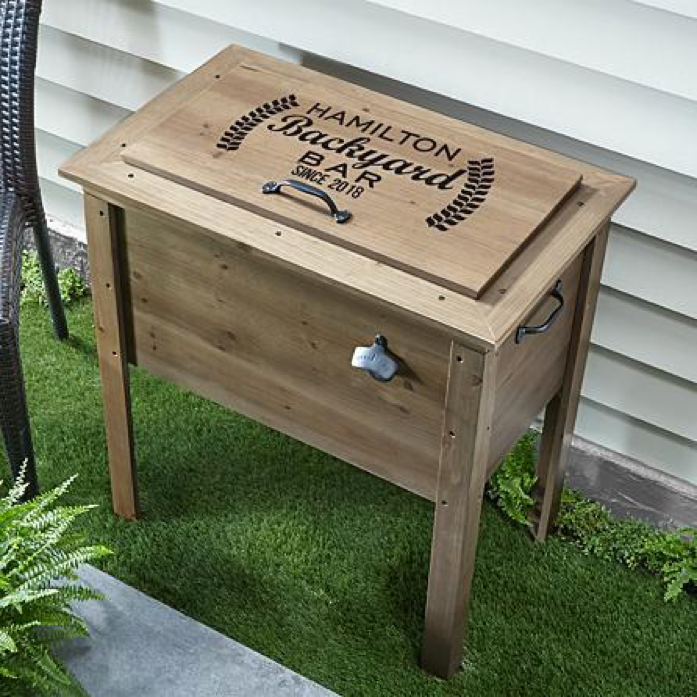 Complete your outdoor dining area with this personalizable bar and cooler, constructed from fir wood and galvanized metal and personalized with your crest. 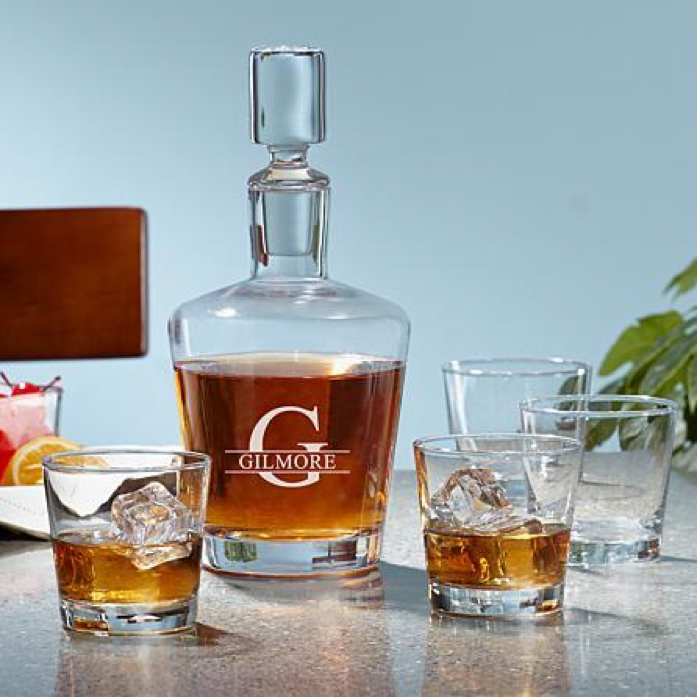 A fine spirit deserves a fine display. You’ll be reminded of your wedding day every time you break out this matching set. 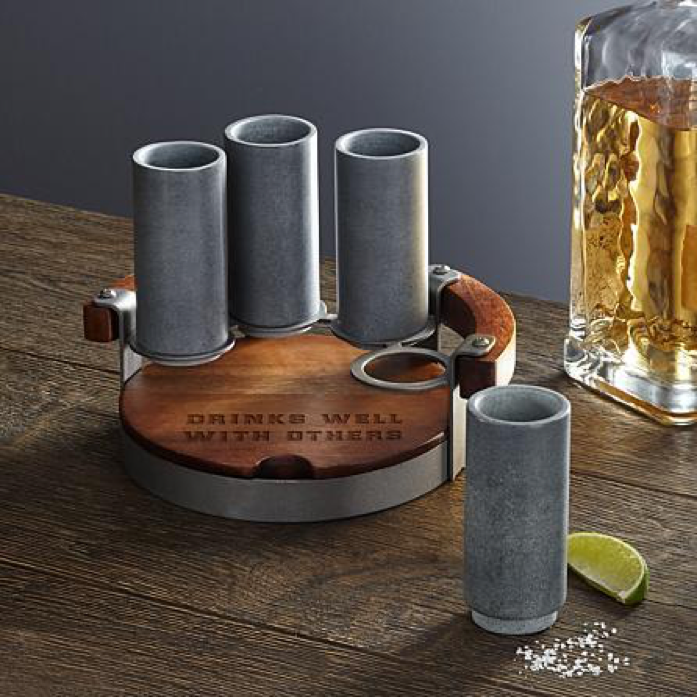 This elegant soapstone shooter set chills in the freezer and then cools your drink to its perfect tasting temperature. Nothing is more versatile than the tried-and-true stoneware casserole dish. 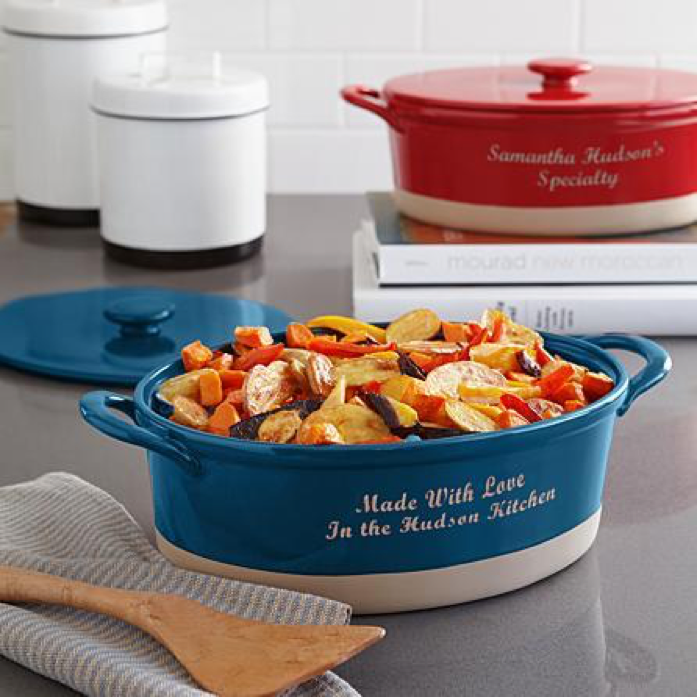 Invest in a quality, personalized dish that can be passed down through generations. 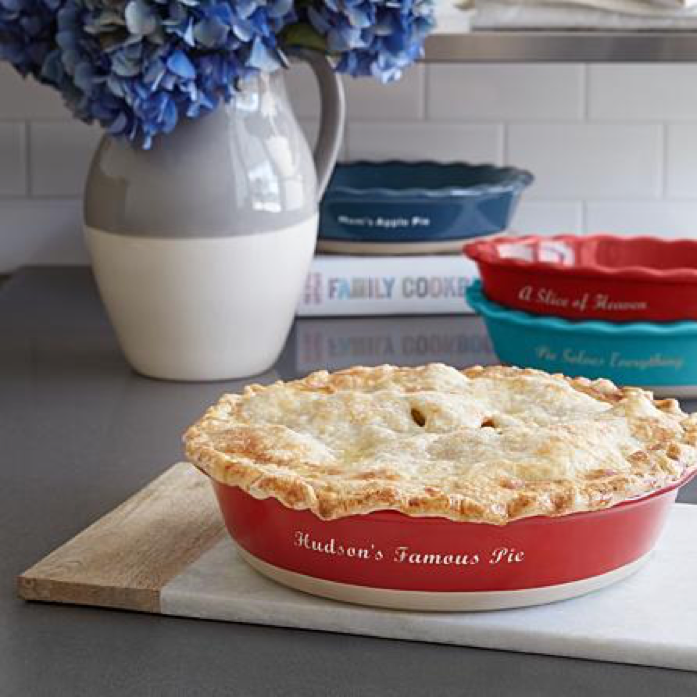 Whether prepping a family-famous recipe or starting a new holiday tradition, mark this fluted-edge pie dish with a pun-worthy pie message. 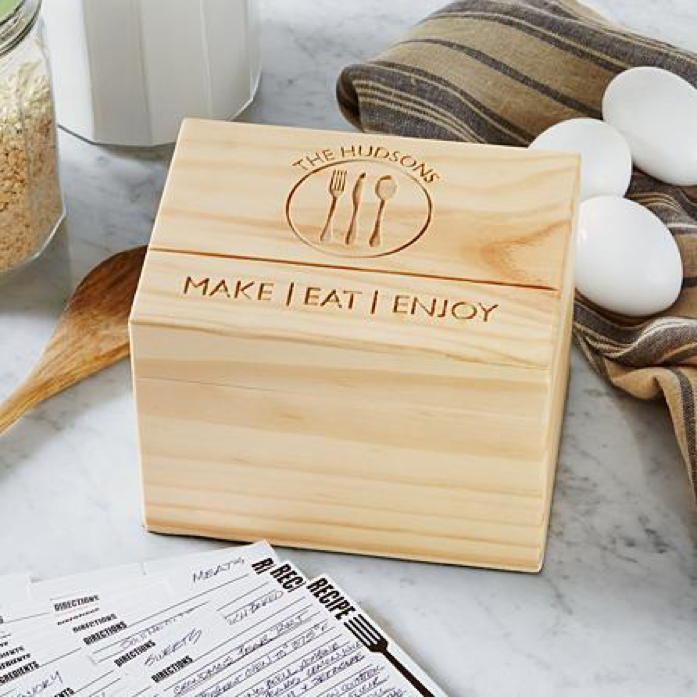 Celebrate the combining of families by sharing your long-honored recipes and traditions in a monogrammed recipe box, complete with outlined index cards. 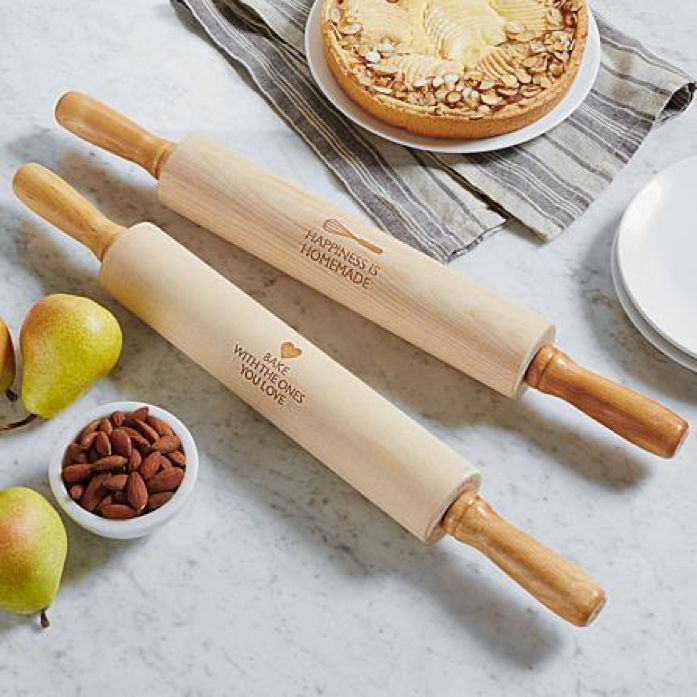 Constructed from quality maple wood, this USA-made rolling pin can be personalized with a family message–chosen by you or your loved one. It’s often the little details that make for a memorable cocktail party. 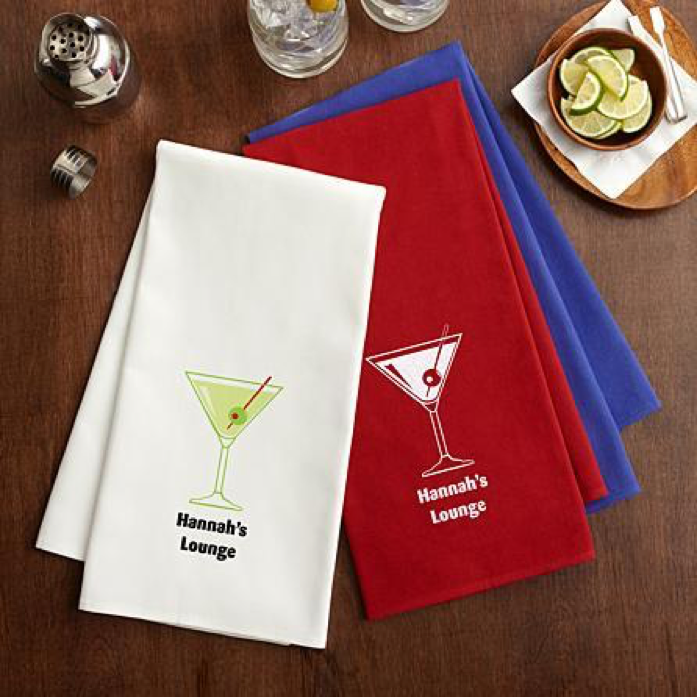 By personalizing their design, even party cleanup is stylish. 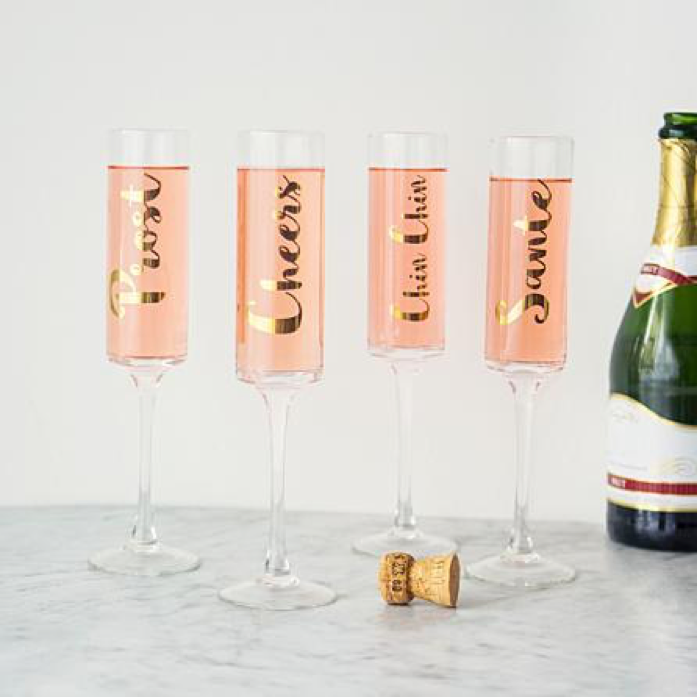 With each passing anniversary, say cheers in four different languages with these modern and chic champagne flutes. 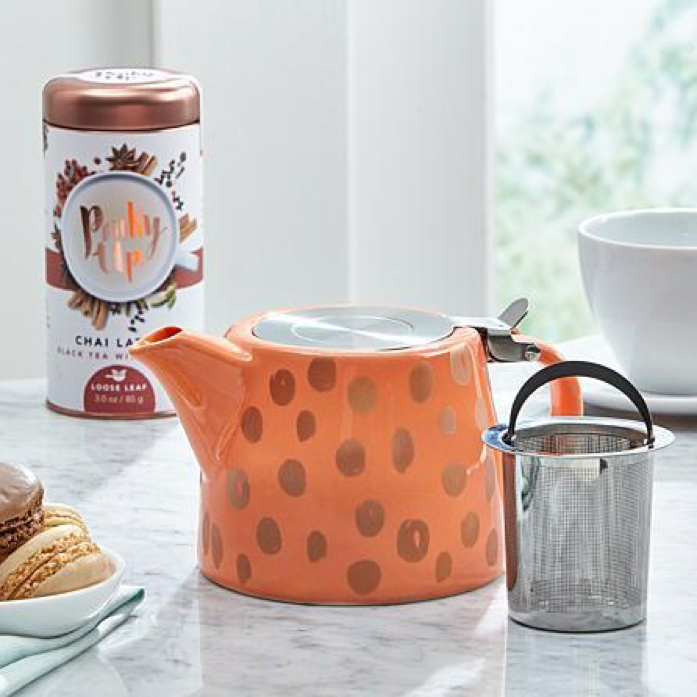 On the coziest of fall afternoons, gather friends for a pot of tea infused with your favorite blend of spice and floral flavors. 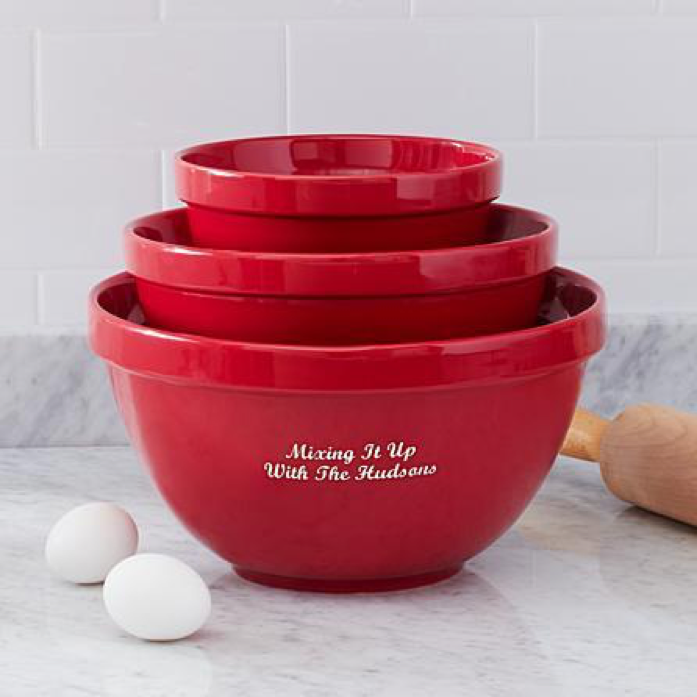 Complete a rustic kitchen color scheme with a full set of handcrafted stoneware mixing bowls–perfect for serving up meals, mixing your favorite dough or whipping up an omelette. 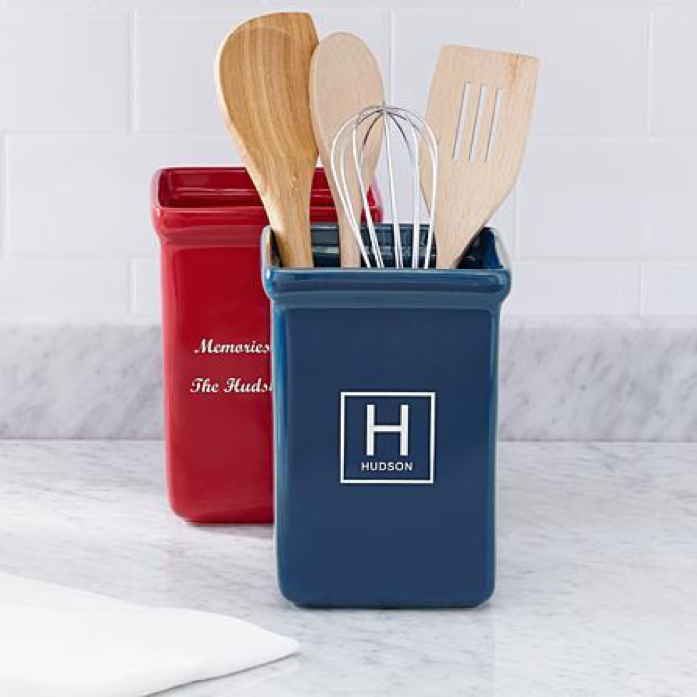 Often the centerpiece of a kitchen counter, a personalized utensil holder streamlines cooking and spruces up your kitchen decor. 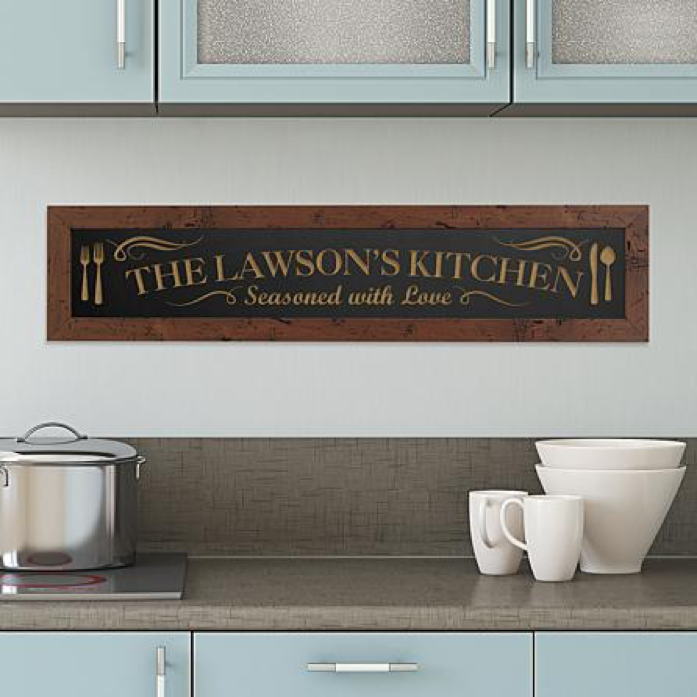 Sure to be a favorite on your registry, celebrate the start of your new family by adorning your kitchen wall with a welcoming wooden sign. 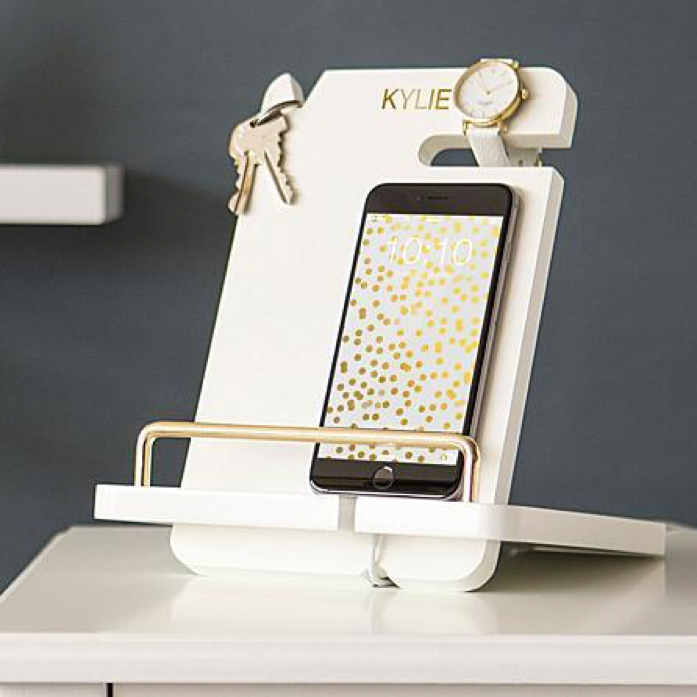 As you prep for dinner or brew the morning’s coffee, this convenient and minimalistic charging dock keeps all your necessities safe and organized. Timeless and chic, slate adds a touch of style in the smallest home details. Design your own family crest for a customized touch. 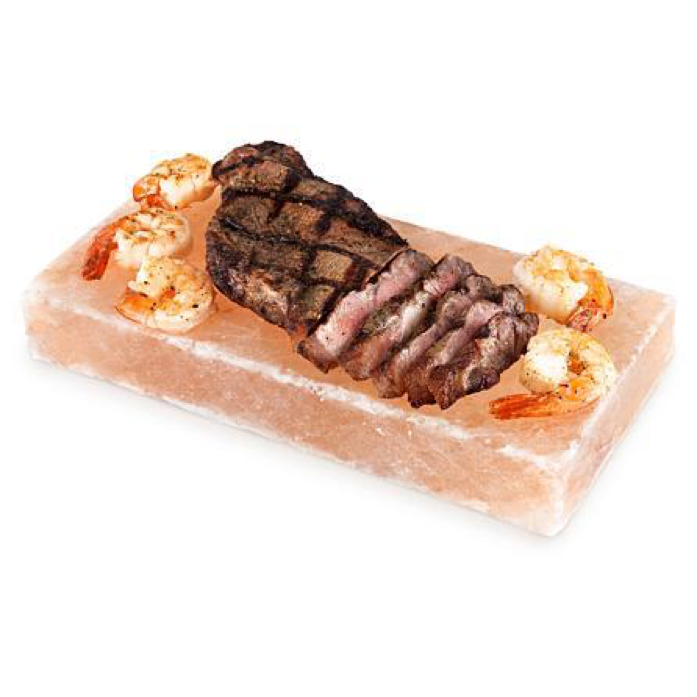 Himalayan salt blocks transform the flavor of meat with very little fuss. Impress your new spouse with a fine steak or filet prepared or served on this versatile cooking tool. No party host is complete without a serving platter. 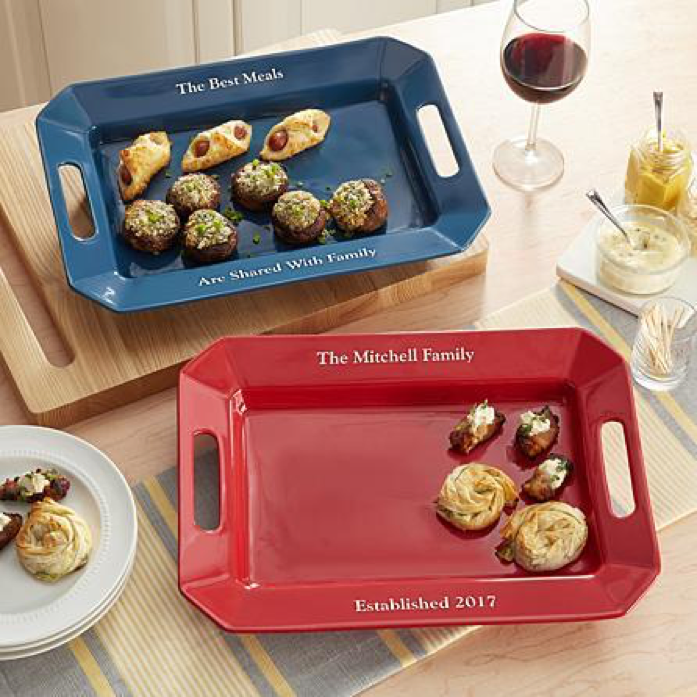 Kick off your gathering by serving an impressive appetizer display or carry in the main course with the ease. Whether toasting a glass of champagne or cooking up a family recipe, each personalized gift will bring back a memory of your beautiful wedding day. Loved ones will jump at the chance to add an emotional touch to your home with this customized list of gift ideas for newlyweds.